If you’re like me, you’ve got tons of family videos on your smartphone and lots of aspirations to do something with them all. But then “one of these days” turns into months and years, because who really has time to sit down and edit together hours worth of video? Well, not me. 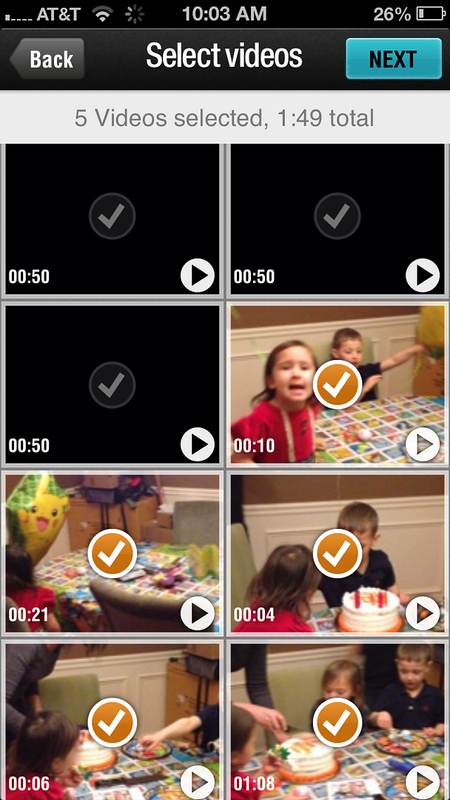 So when I learned about the Magisto video editing app at CES 2013, I couldn’t wait to give it a try with my own videos. Let’s just say, I’m super impressed, considering I’ve put together the coolest videos with just a couple of clicks. Once you load the free Magisto app to your iPhone or Android phone, you’ll need to create an account so you can edit your videos. 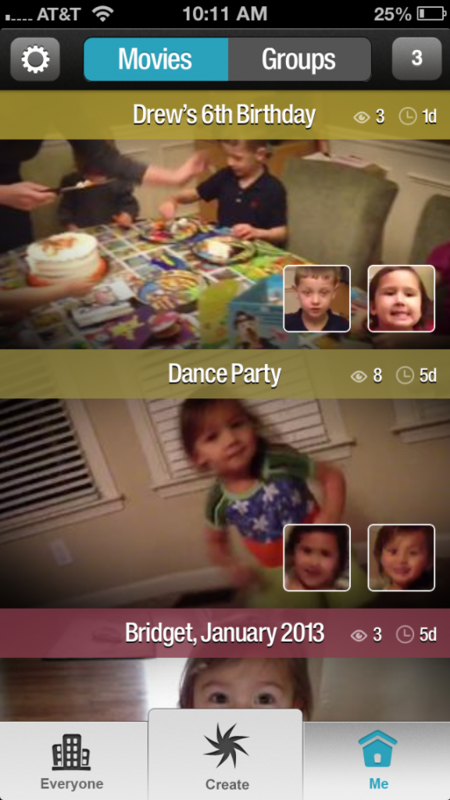 Magisto is actually set up similarly to Instagram, where you can share your cool videos with your “network” of friends and family (or whomever you invite to follow you) and even tag them. But if you’re like me and aren’t really interested in that component, it works just as well as a simple video editing app. 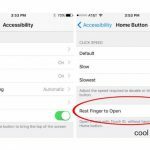 Just keep your settings to private, which happens to be the default setting anyway. 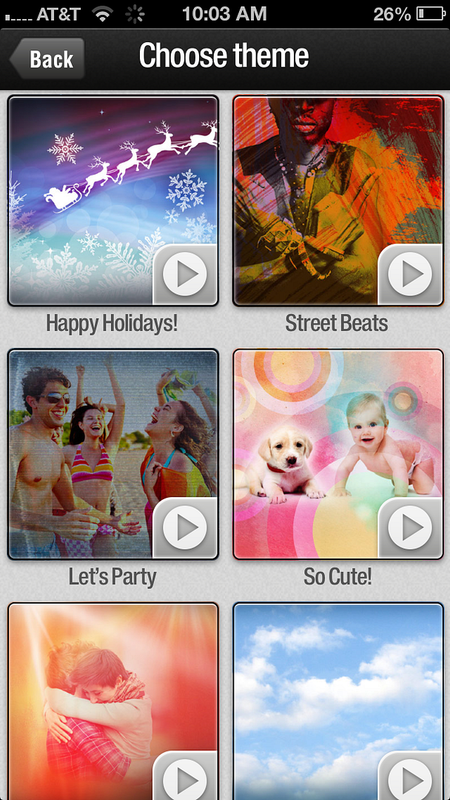 You can either shoot video within the Magisto app or use your own videos from the gallery on your phone. Next choose a theme like “Happy Holidays!” or “Let’s Party!” (Yes, they look a little cheesy here, but those images don’t actually appear in your video–just the effects they represent.) The theme you choose will determine the song choices you get (there are tons) as well as cool effects which you can use or not, depending on your taste. Or use a song from your own music library. That’s it. Magisto does the rest, creating a completely unique, and, I must say, ridiculously cool video using excerpts from all of your selected videos in a matter of minutes. Even better, you don’t have to keep the app open while you wait; you can close it up and Magisto will ping you when your masterpiece is ready. And wow, the results are amazing! Just take a look at the video of my kids scootering. Here’s the really cool part: whatever the technology that makes Magisto work, it senses when there’s important audio in your video, and will level down the music so that you can hear what’s going on. This was achieved perfectly in my son’s birthday video, where the music dropped back as we were singing Happy Birthday to him. In other videos where there’s no particularly special audio (like my scootering video), you will just have music. It’s pretty amazing. *I find it easier for me to shoot from my own iPhone camera, and then choose videos from there. *It works best if you have a minimum of four to five clips, keeping in mind that they’re going to be edited together. birthday party” or “parents day at camp”) or the montage will be a bit haphazard. You can share or email unlimited videos for free, or if you want to download your creation, then it’s $.99. If you think you’ll be using this a lot, subscribe for a month or a year at fairly reasonable prices. So far, I’ve only paid to download one — the best one I made thus far (in my opinion). For the most part, I’m perfectly happy just keeping them all saved in my Magisto account and sharing that link with friends and family as I make them. You can also invite your friends and family to join Magisto and then create groups within your account so you can share specific videos with just those people instead of emailing the video link out to individuals. It just depends on how motivated those friends and family will be about joining another thing. Keep in mind that Magisto doesn’t change your video quality; you’re still shooting on a smart phone camera so it’s not like you want to watch this on your High-Def TV. And you don’t have control over the clips Magisto chooses, so if you’re the type who loves editing your own videos, then this might not be the app for you. However, if you’re like me and never have time to do anything with your videos, then you need to get this app stat and start playing. You’ll be so glad you did. You can download Magisto for free for iOS or Android on iTunes and Google Play.